When couples separate, the question of who will get custody of the child is often the most contentious and complicated. Safeguarding the rights and well-being of children is a high priority of Clint Lawson. San Antonio child custody lawyer Clint Lawson has successfully represented clients in all aspects of divorce-related issues involving children—custody, support and visitation. Clint prefers to avo id the harmful effects on a child resulting from a lengthy tug-of-war custody battle, and he strives for a timely resolution to minimize the level of anxiety and discord. With the best interest of the child as his focus, we also work to protect our client's parental rights. Clint works closely with his clients to educate them regarding their decisions and treatment of their spouse will affect the child. Clint may recommend working with a mediator to facilitate compromise and encourage effective negotiation. 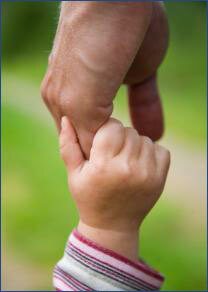 Of primary importance is both parents maintaining an accessible and healthy relationship with the child, if possible.